Angrivated: What makes the Magic Kingdom so special? This is why the Magic Kingdom is so magical. 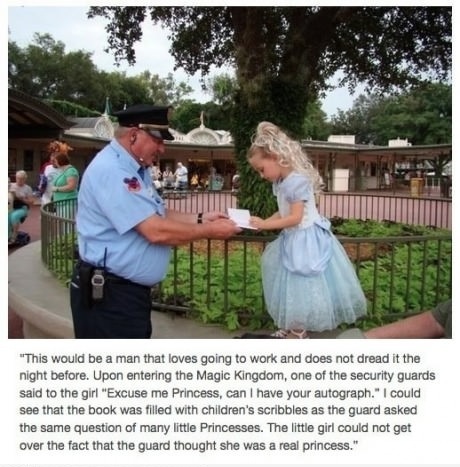 That is great...I applaud that man for making the princess's day. That is one of the sweetest things I have ever heard of.